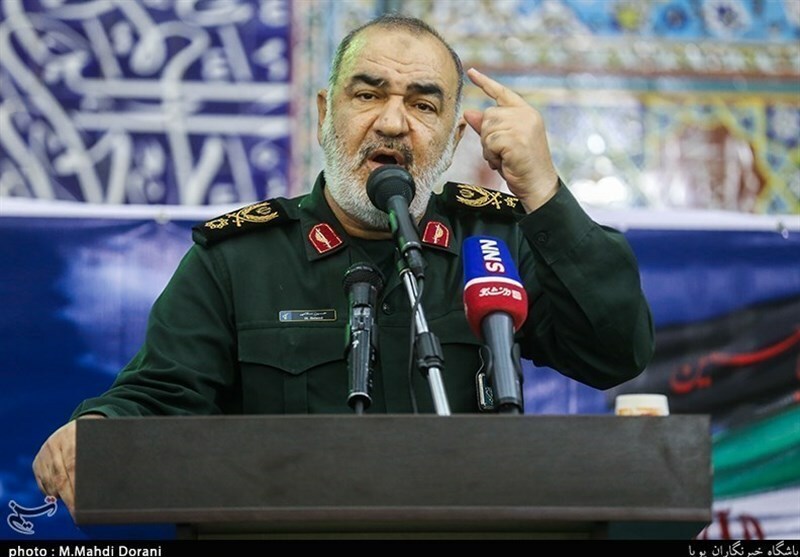 TEHRAN (Tasnim) – Islamic Revolution Guards Corps (IRGC) Lieutenant Commander Brigadier General Hossein Salami described Iran as a major power and said the Islamic Republic is capable of responding to enemies “at any point and any level”. Addressing a ceremony in the southwestern province of Kohgiluyeh and Boyer-Ahmad, Brigadier General Salami deplored the US sanctions against Iran and said the economic blockade on the country over the past 40 years has been part of the enemy’s dangerous plot to defeat Islam. However, the Iranian nation has a history of all-out war against the global arrogance, he said, adding that so far, the Islamic Republic has defeated the enemy in various psychological, economic, political, security, and cultural wars. “Up to now, we have forced the enemy to retreat to the extent that we have built a great front against the United States,” the commander said. Back in September, the Leader of the Islamic Revolution highlighted Iran’s regional achievements and the defeat of the hegemonic powers, saying the Islamic Republic’s powerful resistance has caused the US goals in the region to fail. The Leader described developments in Syria, Iraq, and Lebanon as the examples of the failure of US conspiracies in the region and said they are signs of God’s power and the realization of God’s promises that if you assist God, God will help you succeed and persist.